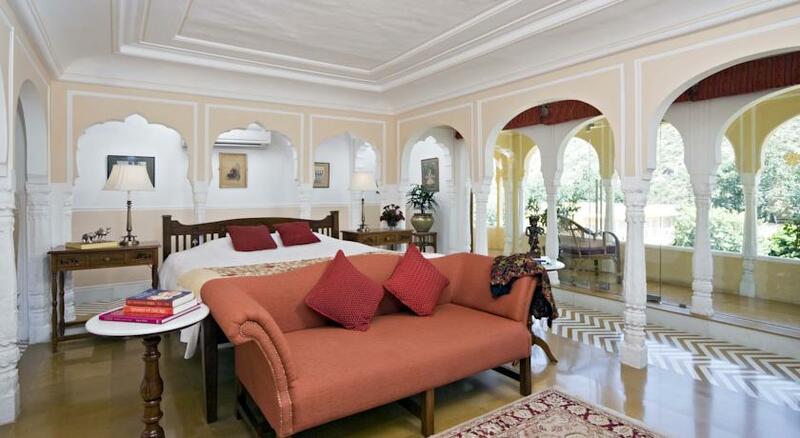 Samode Palace; one of the top heritage hotels of Samode to witness the opulence & elegance of a bygone era. 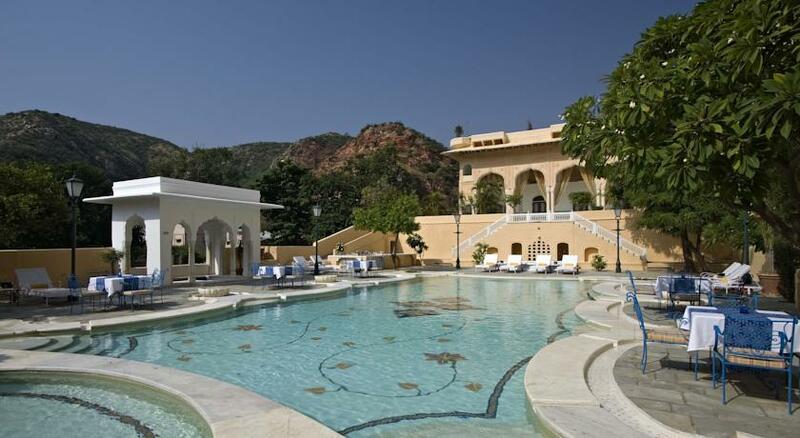 Samode Palace is a name that needs no introduction. 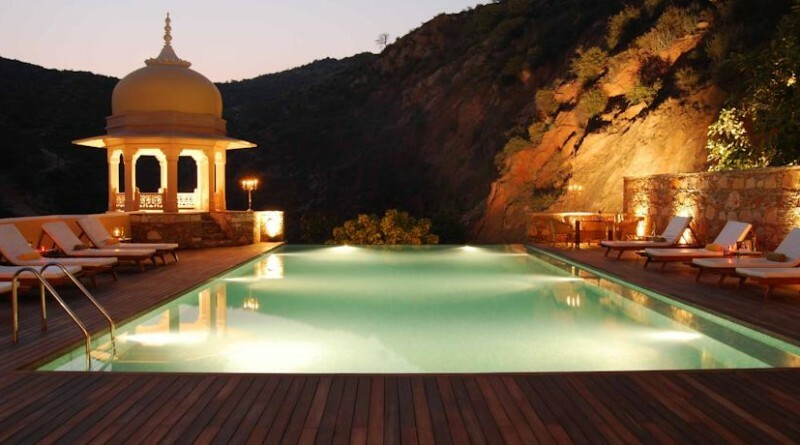 Samode is placed in the royal Indian state of Rajasthan and is about 42 km from capital city Jaipur. 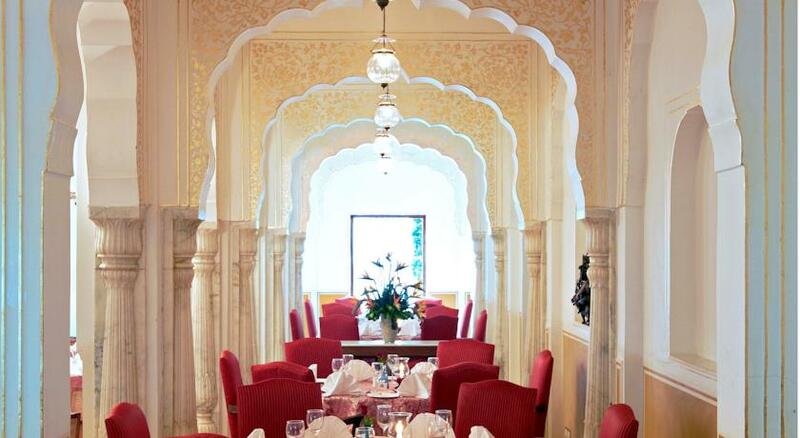 Samode was one of the grand places of Jaipur, built in the 19th century and is well-known for its havelis and forts. Being visited and preferred by artists, discerning travellers, celebrities and royalty, the palace has remained a perfect host for past many years. It is the finest examples of royal Indo-Saracenic architecture exuding the blend of Mughal and Indian styles. The entire property spells a magical cast. The prominence of the building is the lovely Diwan-i-Khas covered with innovative paintings and mirror work. It’s a perfect spot for sashays and picnics. 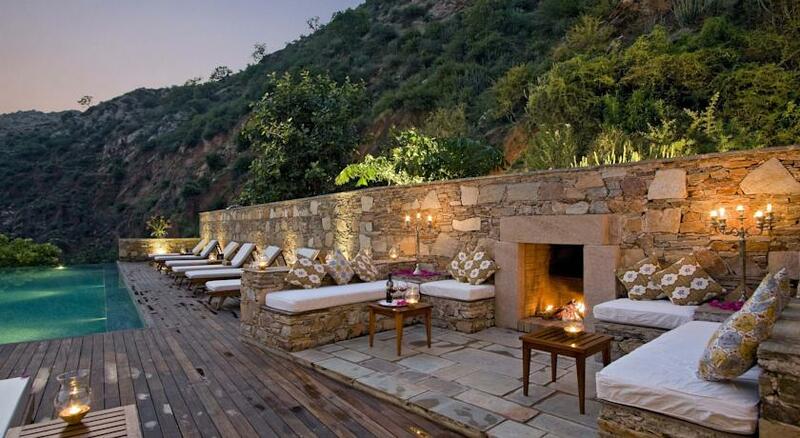 Samode is famed for Samode Palace and Samode Bagh and Samode is an ideal desert getaway. 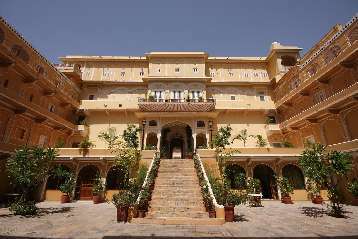 It is a 475-year old palace that instils a sense of celebrations underlined by the signature service of Samode hotels and contemporary luxury. One of the most splendid places for the ultimate royal experience, the Samode Palace is architecturally fascinating, visually enchanting and sensually captivating. The paradisiacal structure was built 475 years ago, in a beguiling concoction of Rajput and Mughal styles of construction, setting an impeccable standard in luxury and charm. Located about 42 kilometres from the Jaipur City, You can wander around aimlessly and find little-hidden nooks and rooms! It’s far outside the city and in nature. You can see wildlife out here and take a safari with the hotel, which is what many guests were here to do. Lounges adorned by charming churches and bougainvillaea roofed courtyards that are connected by picturesque staircases, exquisitely painted ceilings and walls and stunning mirror work together adds to the overall decor of the hotel. 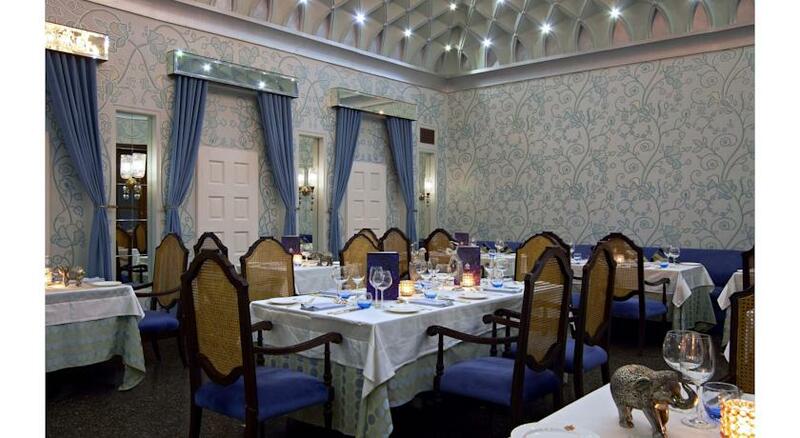 Royal rooms and suites surrounding the courtyards depict inimitable decor as well as personality. Samode immediately puts an enduring impression with its beauty and majesty. Enjoy the cocktail on the terrace garden or just awakening to the quiet dawn, the entire experience is just so impeccable. Find out what it is living a life king size by experiencing the true richness and magic hospitality of this unique gem. ← INDE has been awarded the prestigious HUDCO AWARD 2016 under the Landscape Planning and Design category for HATHI GAON.